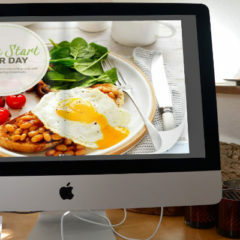 Ooomacros - Actionable digital publishing tips that produce great results. In case you didn’t already know, digital flipbooks are an ideal way to add responsive content to your website, regardless of what it’s for. 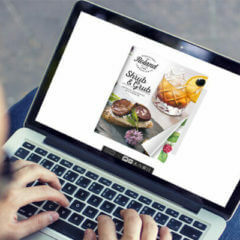 Flipbooks are made from PDF files and images, creating a digital, page-turning publication that essentially makes a print product fully digitized and able to be viewed on a web browser, be it desktop or mobile. Most digital flipbook platforms are easy enough to use when creating the file, but what about if you want to put it on your WordPress site? In that case, you have to rely on plugins, which can be tricky and downright confusing. WordPress flipbook plugins do exist en masse, but not all are equal. I tested out all the flipbook WordPress plugins, so you don’t have to. Read on to find out which ones are actually worth your time — and which is best. Publishing content online no longer revolves around merely trying to have an engaging and aesthetically pleasing website that balance graphics with text. Flipping books are a prime example of this. Furthermore, if you own a business that publishes marketing content offline, making the transition to digital publishing is the obvious choice to promote your business and products online. Flipbook software gives you an easy way to convert the files you used for your printed content into a fully usable online version that looks and acts like the print copy. Whether you’re creating new content from scratch to publish digitally, or if you’re needing to publish online versions of print publications, flipping book software is your avenue in. With that said, there’s certainly no shortage of free flippingbook software, so it can be hard to find the best one. Read on to see what the best current options are — and which one is the best. Online catalogs are no longer some kind of fancy upgrade option for expensive web sites. 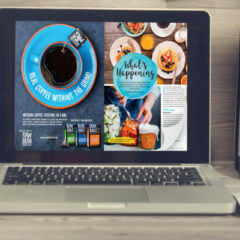 With the rising popularity and use of flipbooks and software, there are now more choices than ever when it comes to selecting a catalog maker for your own use. It’s very easy to find a catalog maker online for free. That doesn’t mean all of them are worth using however, even if they don’t cost you anything. If you want to get the most out of your online catalogs or epaper publications, you’ll need to first find a catalog software or platform that can not only create the content, but optimize it, which goes beyond mere aesthetics. I tried out a number of free online catalog makers in my quest to find out which one was the best. Flipping books provide a modernized way to create engaging and visually vibrant content in a digital format that resembles print publications. The advantages to this transcend industries and uses, benefiting everyone from retailers, to advertisers, to publishers, and beyond. Digital flipbooks aren’t exactly a new concept, but they have come along way in the last few years alone. This is largely due to flip books with html5. A flipping book with html5 gives it a better ability to be displayed across multiple platforms, mainly in terms of mobile devices. And with more people switching to mobile devices as their primary internet browsing tool, this is all the more crucial. There are now more choices than ever for flipping book makers. If you want to take advantage of what this technology offers, you need a superior flip book maker. Thankfully, I found it. Once upon a time, digital catalog software products were nearly impossible to use if you didn’t already have extensive knowledge of the subject. They also weren’t very good. Most of the time, all you got was a clunky, awkward file that took forever to load, and was really just some glorified PDF file. Fortunately, things have gotten way better, while more have realized the benefits catalog software provides. Digital publications and flipbooks are not just for savvy content marketers and designers anymore — most anyone can (and should) use them. But are they really a cure-all? Are there any limitations? Read on to see the pros and cons of digital catalog software, along with some easy ideas on how to get started. These days, brand culture is an absolutely crucial aspect of any business’s marketing and advertising strategy. And while clever tweets and viral Facebook posts are all well and good, you still need quality content that is appealing and engaging to your customers and potential audience. I’m not telling you anything you don’t already know, but what you may not be aware of is the expanding list of modernized options available for your content. Digital flipbooks have ushered in a new era of content, and you need to be out in front if you want to get the most out of their potential. If you think you need to hire or outsource to get up and running with flipbooks, you don’t. There are several choices of free flipbook software you can go with. Curious as to what’s the best flipbook software out there? Read on to find out.